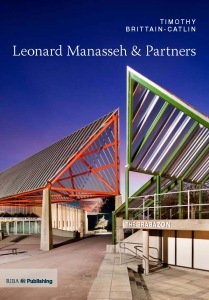 Leonard Manasseh was an ‘architect’s architect’, greatly admired by his contemporaries both on a personal and professional level. He came to prominence at the Festival of Britain and went on to be one of the leading British architects of the 1960s, designing private houses and offices as well as major public commissions. Timothy Brittain-Catlin, architect and architectural historian at the University of Kent, describes how the work of Leonard Manasseh and Partners expresses one of the central themes of the 1950s and 1960s – the apparent conflict between the architect as creative artist on one hand, and as rational technologist and scientist on the other. Leonard Manasseh and his partner Ian Baker were lauded for producing modernist designs that were in keeping with their historical settings or landscapes. Examples include industrial buildings in rural settings, a study for King’s Lynn, undertaken with architect-planner Elizabeth Chesterton, and the project that is most commonly associated with the practice, the National Motor Museum at Beaulieu. Lavishly illustrated with images from Manasseh’s private archive and stunning new photography, this book is an essential read for architects, students and enthusiasts for modernism wanting to learn more about a key practice in British post-war architecture.